Mobile apps are not just meant for virtual entertainment. In the past few years, we witnessed the permeation of mobile technology into the world of real sports as well. Today, we have mobile apps for football, cricket, rugby, snooker, darts, tennis, and much more than not just help players and sports authorities, but also their audiences to stay connected with their sports icons and teams, and stay entertained from anywhere, anytime. Sports events are quite dynamic, where information or data updates happen with the lightning pace and users have little time to think and act. Hence, sports app creators, that is, designers and developers, need to play their game wisely. Here are 4 key things they must keep in mind while designing and developing a sports app. Ever wondered why do sports personnels are clad in attractive colorful dresses? There are two strong reasons: (a) the vibrant colors keep them energetic and cheerful and, (b) it helps audiences to spot and identify their favorite players and teams and exhibit their support for them. Thus, we can say that sports and visuals are interconnected. Consequently, the look and feel matters a lot to any sports app. Here, the primary job is that of UI-UX designers in creating a stunning design that represents the spirit of game well, and keep users attuned to it. The design is enliven with the intelligent and strategic coding by sports app developers. Would you be interested in knowing about the outcomes of a game which was played a couple of days back or even yesterday? Unless you are preparing for some academic exams or job interviews, the chances are feeble. Yes, in sports, its fans are always interested in the latest happenings. Hence, a live experience is very much desirable from a sports app. To make it happen, sports app developers should have the expertise in working with significant sports data feed providers like Sporting Life, Enetpulse, Racing Post, Opta Sports, Sporting Solutions/Spin, BetterLogic and Timeform. Sports events are often seasonal. Moreover, they have peak and off hours. Hence, the technologies that you use in creating a sports app must be able to sustain the high volume of traffic or users during the peak hours. It must not crash, freeze or crash when users concurrently visit and access information from it. Hence, sports app developers must get them acquainted with robust technologies that can deliver uncompromising performance on all targeted devices. They should have hands-on experience with the desired programming languages, APIs, SDKs, and IDEs. The knowledge of social media and push notification integration is also a must to champion sports app development. Sports events have fixed schedule. So, being a sports app developer, you must deliver the product within the strict deadline. The app should be made available to users through the desired app distribution platforms on time. For instance, we have delivered Find a Game, a sports app targeting Golf, well before the launch of the event PGA (Professional Golf Association) 2017 Merchandise Show. Sports app developers should step into the shoes of the sports professionals and enthusiasts, and craft the right user experience that can make users feel being part of the game. The task is easier said than done. It requires the thorough understanding of the rules or the guiding principle of the sports in question. 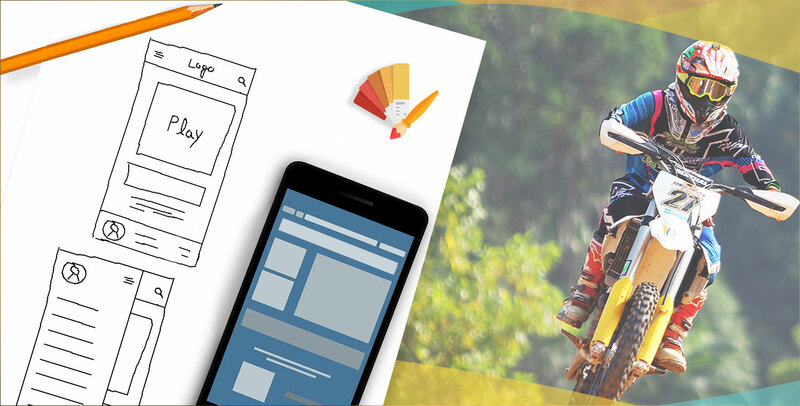 The app development becomes a sports in itself that aims at winning the heart and soul of the users, who always crave for more adventure, entertainment, and fun from the event.